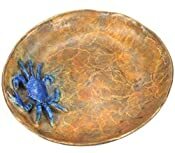 4.6" round plate with crab. 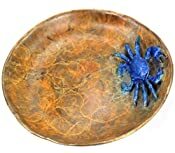 Makes a nice cracker plate for crab dip! 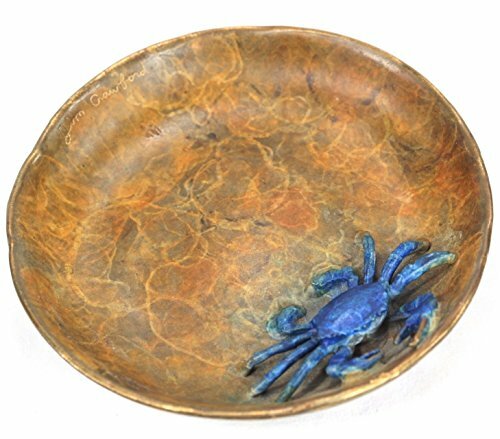 Lost wax cast into solid bronze with a unique patina. One-of-a-kind. All hand made by artist in USA.